How much does antimatter weigh? It is a great question and to be honest physicists don’t know. In fact, it is a great question precisely because we don’t know. To clarify: I am talking about “weight,” not “mass.” I wrote a few words at the bottom of this post about the difference between the two. For now I will just say that mass is what makes pushing or pulling something in a new direction harder; weight is that pull, by a planet’s gravity, on things that have mass. In the Universe, there are some kinds of matter that do not have mass, like photons (packets of light), and thus are also weightless. Other kinds of matter, like protons & electrons, do have mass and consequentially weigh something. Okay, so here is where things get interesting. Back in the 1920’s a guy named Paul Dirac discovered the theory of antimatter. The theory not only predicted that each piece of matter has an “antimatter partner” but also that the two partners have the same mass. This morning, the ASACUSA Experiment (Fig. 1) at CERN announced that the anti-proton has the same mass as its partner, the proton. Well, at least up to experiment’s capabilities of resolving the two. 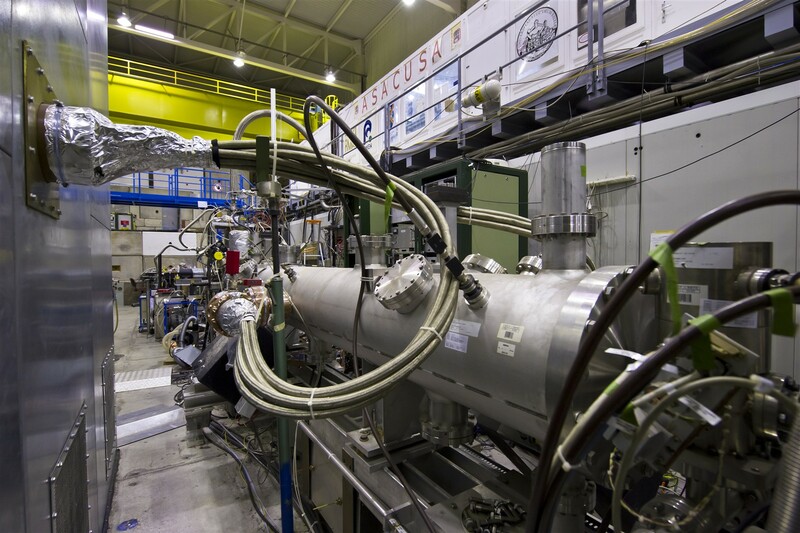 Anyone keeping track of CERN’s anti-matter physics program, or has watched the first 15 minutes of “Demons & Angles,” might know that the lab has been making significant progress trapping and collecting anti-hydrogen. While the amount being produced at CERN may not be enough to make a small city-state disappear, it is close to the amount needed to determine the weight of anti-hydrogen. This is good news for physicists at Fermilab who are working on the Antimatter Gravity Experiment (AGE), the goal of which is to measure anti-hydrogen’s weight. Interesting, no? Now for the exciting part. Our theories, e.g. the time-tested Standard Model of Physics, only say that matter-antimatter partners should have the same mass. There is NO reason whatsoever, other than helping one sleep at night, that the partners should have the same weight. Since weight is innately related to gravity, any measurement of an individual anti-particle’s weight is inherently a measurement of gravity at the quantum scale. Additionally, any description of the behavior of antimatter acting under gravity is at the very least a stepping stone to Quantum Gravity. Quantum Gravity, by the way, is the theory of gravity at the microscopic scale; it does not really exist, yet; and is preventing physicists from constructing a full description (theory) of our universe. 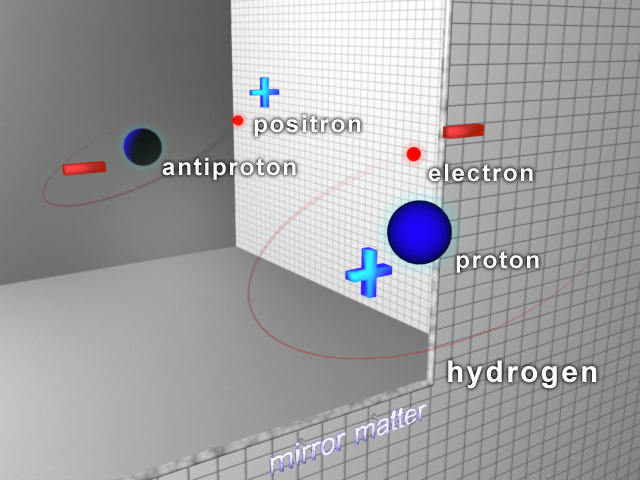 Determining that the proton and anti-proton have the same mass makes it easier to spot any differences in their weight. On top of that, if there is a difference in the weight of hydrogen & anti-hydrogen, then it might also explain why there is so much more matter in the universe than antimatter. If you are not excited by now, I give up. 🙂 Note: A big thanks to @symmetrymag for bringing this news to my attention. Physically, “inertia” is the natural resistance to a change in movement; a measurement of inertia is called “mass.” One way to think about mass is if you & I were running down a football pitch, side-by-side, and you tried pushing me over. Mass is that bit of resistance you feel when you try pushing me over. If I were twice as tall, it would be harder to push me over. If I were half as tall, it would be easier to push me over. Next time you are playing football, like right after you read this Quantum Diaries post, try it out. “Weight” is that specific, attractive pull (force) a planet has on an object. The big difference is that mass is universal property of an object whereas weight can vary. A single electron will always have the same mass but a human will weigh less and less the further away he/she is from the Earth. Since this rock I like to call home is approximately a sphere, the gravitational pull it has at its surface is approximately constant. Consequentially, the difference between 1 lb (a unit of force) and 1 kg (a unit of mass) is a numerical constant. I hope this helped.